Choosing where to go to university can be a life-changing decision and whilst this is exciting it can also be daunting. We hugely value the supporting role that teachers and careers advisors can play in encouraging students to consider their options and make informed decisions. These pages aim to give you all the information you need to help your students. We encourage you to explore our website widely but hope that you will find the resources here particularly useful. We welcome the chance to talk with teachers and advisers about supporting your students through all aspects of considering, and applying to, Oxford. sign up to attend one of our many events for teachers, either here in Oxford or around the UK. contact your link college to discuss bringing a group of students to Oxford, or to arrange for an Oxford representative to come to your school. subscribe to our termly e-newsletter. In recognition of the extremely valuable role played by teachers, every year we ask our first-year undergraduates to nominate a teacher who inspired them to apply to Oxford, fostered their passion for a particular subject or supported them through our application process. Find out more about our annual Inspirational Teachers Award. We know that supporting an Oxford application means more work for teachers. We want to make it as easy as possible for you to recommend Oxford to your best students. Our dedicated events for teachers are designed to help you to help your most able students. 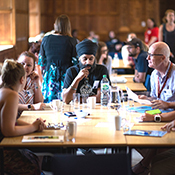 We run teachers' conferences around the country, residential conferences in Oxford and we host many different outreach events specifically for our colleagues in secondary and further education. Most of these events are completely free of charge, and the Teachers' Summer School can provide funding to allow your school to cover the cost of supply teachers during your absence and travel expenses to attend. A free CPD accredited, 2-day residential conference in Oxford in July. Academic content as well as guidance on admissions to selective universities. CPD-accredited, free, one-day conferences held across the UK in May/June. If there is a specific part of the application process that you feel holds back your students, please contact your link college to talk about the support we can offer. A 2-day residential conference held in Oxford in February. Search our events calendar for more events for teachers and students, or visit our international events page to find out about events for prospective applicants, and their teachers and advisers, all over the world. 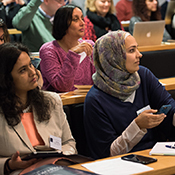 The following resources offer targeted information for teachers and advisers about the University of Oxford and how to support your students who may be considering an Oxford course. Oxplore is an innovative new digital outreach portal from the University of Oxford. As the ‘Home of Big Questions’ it aims to engage those from 11 to 18 years with debates and ideas that go beyond what is covered in the school classroom. Big questions tackle complex ideas across a wide range of subjects and draw on the latest research undertaken at Oxford. Oxplore aims to raise aspirations, promote broad thinking and stimulate intellectual curiosity. Visit Oxplore at www.oxplore.org. This website provides resources for teachers, as well as opportunities for you and your students to find out more about studying at Oxford or Cambridge. Find out more at https://oxfordandcambridgeoutreach.co.uk. 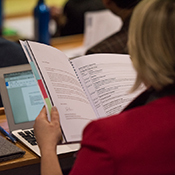 The Oxford Education Deanery is a research-engaged professional learning partnership, which aims to draw on the expertise of University specialists to support Oxfordshire teachers and improve outcomes for pupils in Oxfordshire schools. The Deanery offers a number of opportunities for teachers to develop their practice through engagement in and with research. For more information please see www.educationdeanery.ox.ac.uk. The University also offers free teaching materials via TESconnect: more than 100 resources for Key Stages 2-5. This includes a new series of free science podcasts, ‘Big Questions’, in which a selection of the University’s top researchers address important issues in science today. Organised in bite-sized chunks, these resources are ideal for encouraging Key Stage 4 and 5 students to explore and challenge the knowledge that surrounds these fascinating areas. To support the new Computer Science component of the National Curriculum we offer a free educational program called 'The Turtle System', together with lesson plans and other teaching resources. For further details please see www.turtle.ox.ac.uk. The new Oxford Mathematics Alphabet is a resource for teachers and anyone fascinated by mathematics. The alphabet starts with 'A is for Aperiodic Tiles' and 'B is for Bayesian Inference', and every letter of the alphabet leads to a short exploration of engaging mathematical ideas and the latest research, written by members of the Oxford Mathematical Institute. Posters are available to download for each subject for you to use in class. For details please see www.maths.ox.ac.uk/r/alphabet. Oxford Sparks is a portal for engaging with a wealth of exciting science taking place across Oxford University. It has teaching resources for a range of science topics for Key Stages 3, 4 and 5. Details can be found at www.oxfordsparks.ox.ac.uk. We appreciate all the hard work that teachers put into supporting students to make applications to Oxford University. Our guide for applicants has comprehensive information about all stages of the Oxford admissions process; on this page we have drawn together further, specific advice for teachers based on the questions we are most frequently asked. If you have a query that is not covered here or in our applying to Oxford pages, please contact us. Encourage your students to do their own research on how to make a successful application using all the resources we make available, especially our advice on choosing a course, choosing a college, suggested reading and how to apply. Course choice is the most important decision students have to make at this stage. The Alternative Prospectus produced by current students provides helpful advice on choosing a course, but as you know your students best, challenge them to consider courses that they might not be aware of but that might ultimately lead them onto careers they are well-suited to. For example a student doing science A-levels who loves Physics, might indeed wish to study Physics at university, but may also like to consider Engineering, Earth Sciences or Materials Science. See our course pages for full details. Competition for places is high, and so those considering an application need to be realistic about their chances of being offered a place. We are looking for candidates who have a strong academic background: generally this will mean a good performance at GCSE (or equivalent) and predicted A-level (or equivalent) grades that meet the entrance requirements for a particular course. Candidates do not need to have an immaculate record of top grades, but they do need to be amongst the best achieving students from their school. You can find more advice on a range of qualifications on our admissions requirements pages, which includes information on GCSEs and A-level reforms. All applications must be submitted online via UCAS. There is a wealth of advice on the UCAS website and on the UCAS application page of our website. Remember that Oxford has a much earlier deadline than most universities: 15 October of the year before entry. The reference does not need to be written by the head teacher or head of sixth form; it is more important that it is written by someone who knows the student well enough to comment on their academic abilities and any personal qualities that will help them to succeed. Often the subject teacher in the most relevant field to the applicant’s chosen course is best suited to write the reference. Ideally, the primary content should focus on the academic skills and experiences of the student, with the reference giving prominence to the subjects the student is undertaking that are most relevant to their chosen degree. If this means that the information on the candidate’s A-level Biology course is twice that devoted to their A-level in English Literature because they are applying for a degree in Biology, that is highly appropriate. If the school or college uses a standardised template and/or it is traditionally completed by the head teacher or head of sixth form, it is still useful to receive comments from the most relevant subject teacher which can subsequently be included in the reference. The reference is a good opportunity to focus on the individual applicant and their particular strengths relevant to their chosen subject. Tutors at Oxford, like other universities, are interested to find out if the student is expected to flourish in an intensive academic environment and how they may cope with a sustained workload; specific examples are useful here. Relating the relevant selection criteria to specific pieces of work, activities, experiences or interactions with the students are helpful indicators and bring the candidate’s qualities to life. The University is aware that under the Data Protection Act UK students can obtain a copy of the UCAS reference if they choose to do so and sometimes this can have an effect on the overall nature of the reference. Whilst it may seem difficult for a reference to include comments which, although accurate, do not portray the applicant positively, it is important to recognise that it is ultimately not in the interests of either the candidate or the referee to overstate a candidate’s suitability for study on a demanding course. The limited space for the UCAS reference is best used to address the individual applicant and their skills, achievements and qualities relevant to the student’s chosen subject. The particular strengths and achievements of the school the student attends have more limited value unless they have a direct impact on the particular applicant. The structure of the reference is an important consideration. Oxford uses information on the educational context of an applicant’s school or college, but this is not derived from the reference. A short paragraph about the school at the top of the reference may be important if there are particular issues that may have had a direct impact on the applicant (e.g. high staff turnover, major disruption because of rebuilding work which closed the labs for a term), but if there is more required then it is best to include a more detailed statement on the school website and then include the URL link in the reference. For UK students, information on the school's approach to qualification reform may also be helpful. When predicting grades, the details you give in the reference on how you (or your school or college) are determining what differentiates this candidate and, for example, what makes them an A* or A grade student is really helpful to tutors. Methods of making predictions will of course vary from institution to institution but tutors value the key role teachers play in providing reliable information about a student’s academic potential in a particular subject. In the UK most students apply to university at the beginning of their final year of school and before they have taken their school leaving exams. Teachers are asked to predict their student’s grades in any exams they are yet to take. If their application is successful they will be made a conditional offer, the condition being to achieve the required grades in any outstanding exams. We understand that this is different from the way things are done in other countries and this may be new to you. However it is an important part of the application process to Oxford, and if you do not include predicted grades in the reference, this will significantly decrease your student’s chance of getting a place. Please check our international qualifications page. Please make sure that your student tells us about any disability or specific learning difficulty that my affect their application on their UCAS form, and refer to it in the reference. Our Disability Advisory Service provides support from the point of considering an application right up until graduation. If your student needs extra time or other support for exams, please make sure that this is noted when registering for admissions tests. Sadly some students have to deal with a serious illness, bereavement, a challenging home life or other extreme difficulty. If your student has experienced extra challenges and yet is still getting top grades and would like to study at a top university, we would like to be made aware of this. Please make sure the situation is mentioned in the teacher’s reference. If you or your student needs to provide further details or evidence, in addition to the information provided in the reference, it is best to contact the college which is considering their application (this can be done after the deadline, if the student is making an open application). From Oxford’s point of view, the purpose of the personal statement is to provide additional information in the applicant’s own words about why they have chosen the subject and why they think they are suitable for the course. Please direct your student(s) to our guidance on writing your personal statement. Tutors understand that the UCAS personal statement is written for up to four other university choices and therefore it cannot be tailored specifically for Oxford, especially for those subjects, and combinations of subjects, that few other universities offer. Nevertheless, it is helpful if the student applies to courses that are similar in nature at their university choices, otherwise writing the personal statement becomes more challenging. Unlike many other universities, Oxford does not use the personal statement alone to make offers, or reject applicants, as tutors have a huge range of more detailed information from the rest of the application beyond the UCAS application. Most of our courses use admissions tests to help tutors select the most promising candidates for interview in December. Please check if your student needs to take an admissions test and help them to register in plenty of time. To check which test or tests are required for the courses your students are interested in, please use the information on our What test(s) do I have to take page. An overview of all our tests is also available. Most UK schools are already registered test centres, but you can check whether your school is already a centre by contacting the company that administers the tests, Cambridge Assessment Admissions Testing (CAAT). If your school is not already a test centre, CAAT can help you to register it. This process is free, but can take some time, so please organise this well in advance of the 15 October deadline. Schools outside of the UK can also register to become test centres, and in many countries there are also open centres, although these may charge your student an administration fee. If you are administering tests at your school, you might find this suggested timetable useful. If your student is applying for Law, the process is different: they take an online test called the LNAT at an external centre in September or early October. The admissions tests can be quite different in nature, structure, pace and format to the exams which students may be experienced in taking in school, and so some practice can be helpful and improve students’ confidence. We recommend that students do two or three practice papers under timed conditions. This will give them a feel for the format of the test, and the pace required to complete it. Encourage them to check where the higher mark questions are, so that they don’t spend too long at the lower mark questions. It is useful to save one practice paper to do in the week before the real test. You can download past papers from our tests page. CAAT also provide some preparation materials and advice on their website. The LNAT is an on-screen test and includes a typed essay component. It is unlikely that a student will have experience of delivering a typed essay under timed conditions, even given the relatively low suggested word count, and so some practice may be beneficial. The nature of the tests also vary, whilst some require and rely on the application of specific knowledge gained through GCSEs or early AS modules, others rely on more generic skills such as problem solving, critical thinking or comprehension. In general those admissions tests focusing towards the physical sciences and mathematics are of the former type, whilst those in arts and humanities tend to focus more on the latter. Finally it is important that students realise that these exams are difficult and challenging and designed to stretch even the most able candidates. Many of the students who make applications to Oxford regularly achieve in excess of 90% in many of their formal examinations, therefore they are not used to either being unable to answer questions or answering incorrectly, and will expect to answer every question on the papers that they sit. This may not be the case with an Oxford admissions test and students who perform well on these tests may, in general terms, score around two thirds of the marks. There is no general pass mark for any of the admissions tests, and the range of marks will vary from test to test and year to year, depending on the field of candidates and their relative performance. Also it is important to remember that the test score is only one part of the data we use to make short listing decisions. Candidates can find lots of advice about the interviews process and how to prepare on our interviews pages. Oxford can now offer travel funding to some students who may find the cost of travel to and from Oxford prohibitive. Details are also available on the interviews pages. Giving candidates the opportunity to discuss their motivation for the course and their academic interest in the subject for which they are intending to apply will be of great benefit to them. Often students are experienced in expressing themselves coherently and with enthusiasm on paper (as will be demonstrated in their personal statement), but some students may have greater difficulty in vocalising their opinions and academic passions in an academic interview context. A practice interview will help the candidate to gain more experience of talking about themselves and their academic interests in an unfamiliar environment. You might consider organising one practice interview for your student with a subject specialist and another one with someone the student does not know. You could also contact other schools in your area and arrange to do practice interviews for each other’s students. However, drilling students and asking them to memorise large amounts of pre-rehearsed material or answers will be of little use to them in the interview context, as the Oxford tutors leading the interviews are able to spot this kind of approach very quickly. If students have studied the subject that they are applying for at school or college, then a solid knowledge of the field will be required, particularly in science subjects. Students should therefore aim to revise topics they have covered at school or college in the past year. Candidates are encouraged to read around their subject and on topics outside their school or college study, as well as developing and extending their knowledge on topics which may have interested them within their A-level (or equivalent) course. The majority of courses have suggested reading lists for prospective students. Please note that these lists are not exhaustive and are designed as possible starting points for further enquiry. Candidates should develop their own passion and commitment for their subject and should undertake further reading which fosters that interest and will be an indicator of their motivation for the proposed course of study at interview. Wider reading can include newspaper articles, websites, journals, magazines and other publications that relate to their subject, and exploration of their subject could also involve watching relevant TV documentaries or films, visiting museum exhibitions or attending public lectures. They may also wish to explore examples of their subject area in the wider world, such as taking an interest in the scientific or economic theories that underlie news stories. If you know your student has enjoyed a particular aspect of their subject with you at school, then we also encourage you to suggest further reading for them. It is important to note that reading widely on its own is not enough; students should be encouraged to take a critical view of ideas and arguments that they encounter at school or college, or in the media and think about all sides of any debate. It is better to read fewer books or articles but read them critically and in depth, than read more materials but in a shallower way. Keeping a reading journal can be a useful way of recording their thoughts. Forming discussion groups of students with similar subject interests can be a good way for your students to gain experience of talking about issues and themes within their subject. If there are not many interested students at your school, consider collaborating with other local schools. Online forums can also be useful places for discussion. How can students show their passion for a subject they haven't studied before? If your student is applying for a subject they have not studied before, they should carefully think about the reasons for choosing this new subject, and may wish to undertake some preparatory reading to explore their interest in that area and to ascertain whether it might be the right course for them. However in-depth knowledge of the field is not a requirement. When tutors are assessing candidates who intend to study a subject they have not formally studied at school, they are predominantly looking at the candidate’s skills and aptitudes rather than any specific knowledge. Oxford’s outreach officers are happy to arrange school visits, which can include interview workshops. If you are in the UK, you can contact your regional link college to ask about such a visit. Competition for places is very strong. It is very competitive to get a place at Oxford. We typically receive around six applications per place, though this does vary by course. The success rates are published on each course page. In late November when they hear whether or not they get through to interview in December. By mid-January those who were interviewed will be informed if their application has been successful or not. Most offers are conditional and so it then depends on achieving the relevant grades in their A-levels or other exams. Applicants can ask for feedback, but must do so from the college which considered their application (unless they applied for Medicine or Biomedical Sciences, in which case they should ask the department). Contact details can be found for each college admissions office on each of our college pages. Feedback may also be provided to the referee or to the Head or Principal of the school/college, either in general terms or in relation to a specific application. However, please note that specific feedback in relation to an applicant can only be given where the applicant has given permission under the Data Protection Act. See further information about feedback. We hope that students whose applications are not successful will go to other excellent universities and enjoy their studies. Some may then wish to consider a graduate degree at Oxford. We run many events for teachers, including regional conferences in the UK, a teachers’ summer school and an annual conference for international guidance counsellors. You might also be interested in bringing students to one of our student conferences or to an open day. 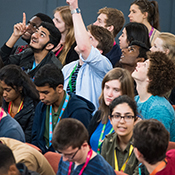 Colleges and departments organise many study days and other events which are listed on ouroutreach events page. Keep up to date with news by signing up for our teachers’ e-newsletter. The University of Oxford organises a range of events for potential applicants. Travelling throughout the UK, we meet with students, teachers, parents and carers. We welcome the chance to talk with interested students about all aspects of applying to, and studying at, Oxford. Where possible, we are keen to encourage schools and colleges to coordinate with other local schools and colleges because this enables us to work with more students over the year and, we believe, enriches students’ interaction. We meet face-to-face with hundreds of teachers and thousands of students every year, both at their own schools and colleges and here in Oxford. We have visits, workshops and talks suitable for students from Year 8 upwards. Our access events calendar has a full listing of what's coming up. Find your link college. If you can't contact the college for any reason please contact the central Admissions team on liaison@admin.ox.ac.uk or +44 (0) 1865 270554.